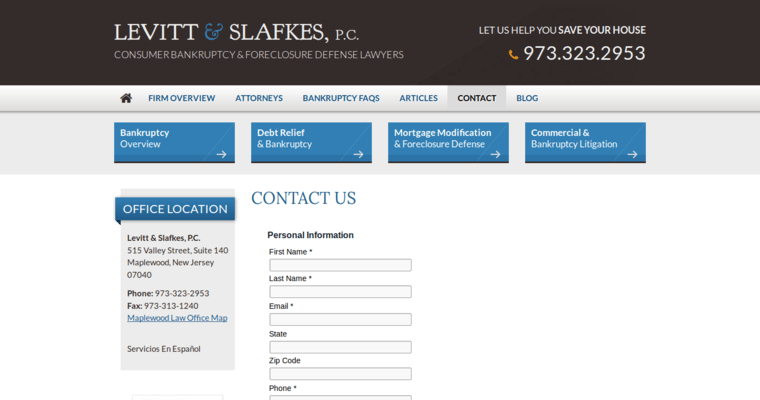 Home Screenshot from the Award Winning Top Debt Negotiator Company Levitt & Slafkes, P.C. Go to Levitt & Slafkes, P.C. Attorneys Screenshot from the Award Winning Top Debt Negotiator Company Levitt & Slafkes, P.C. Contact Screenshot from the Award Winning Top Debt Negotiator Firm Levitt & Slafkes, P.C. 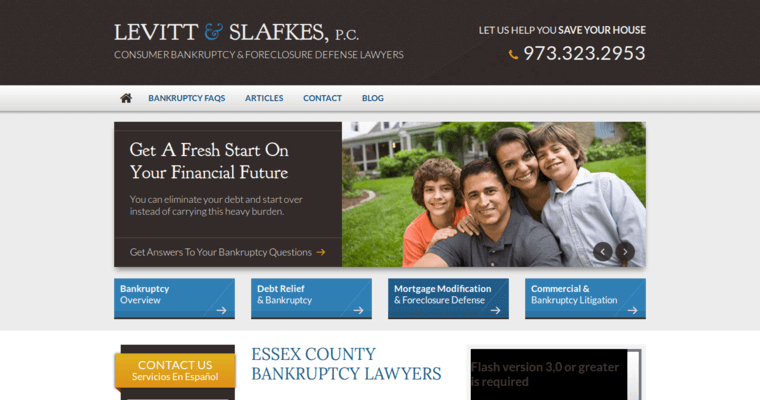 Based in Essex County, New Jersey, Levitt and Slafkes P.C is a consumer bankruptcy and foreclosure defense law firm. One of the firm's many specialties is called debt negotiation, a process in which the firm acts as a third party when in talking to creditors when attempting to reduce debt and create a workable payment agreement. This can be an ideal situation for many consumers who are in over their head but do not wish to declare bankruptcy. Payment arrangements created through debt negotiation are designed to be affordable within the debtor's existing budget. Other specialties of the firm include supervision of bankruptcy cases, modification of mortgages, defense against foreclosures and protection in commercial and bankruptcy litigation cases. The firm prides itself in its client centered methods of practice and feels strongly that unfair and predatory behavior on the part of lenders and creditors must be stopped, and as such, specializes in helping consumers work down their debt. Learn More about Levitt & Slafkes, P.C.